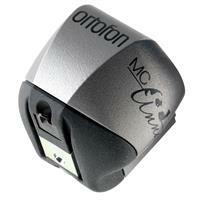 The MC Anna from Ortofon represents the highest echelon of Moving Coil cartridges. 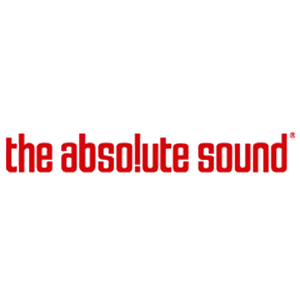 This state of the art product, representative of numerous Ortofon design elements and ideals, is truly exemplary of the highest degree of performance possible in contemporary analogue playback technology. Continuing this tradition with the MC Anna, Ortofon dedicates this flagship cartridge to the opera singer Anna Netrebko, a virtuoso whose performance displays a formidable technical arsenal of endless versatility. 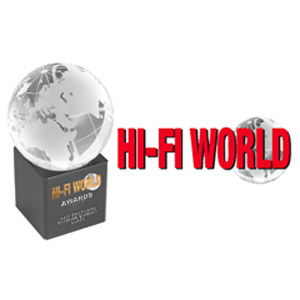 With the dedication of the MC Anna, Ortofon once again emphasizes the company’s unchanging commitment and devotion to the music and to the purest delivery of recorded sound. Much like Anna Netrebko, Ortofon aspires to provide the ultimate musical experience through a mixture of innovation and technical expertise, combined with inspiration that goes beyond mere thought to reveal true inner emotion. 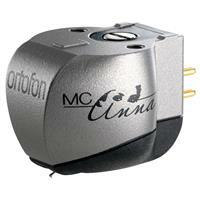 An output impedance of 6Ω and a low-to-medium output voltage of 0.2 mV make MC Anna a perfect partner for most MC phono preamps and step-up transformers, including the Ortofon ST-80 SE. The housing of the cartridge is made of Titanium, using the famed SLM manufacturing technique which was pioneered by Ortofon during the manufacturing of the MC A90, SPU 90th Anniversary and Xpression cartridges. Considered an engineering breakthrough, the Selective Laser Melting (SLM) process welds fine particles of Titanium together, layer-by-layer, to construct a single piece body devoid of extraneous material. This technique allows for precise control of the density of the body material, allowing for extremely high internal damping. The final result provides freedom over vibrations within the cartridge body material. The use of Titanium has provided a further improvement to the internal damping capabilities as well as to the overall rigidity of the structure. Arguably one of the most significant advancements in the MC Anna is our dramatically higher efficiency magnet system, for which Ortofon has a patent pending. This greatly optimized geometry combined with choice materials like neodymium and iron-cobalt offers an unprecedented consistency of the flux density within the system’s air gap. Due to an increase of active material inside of the magnet system, the magnetic field strength is delivered more uniformly, allowing each coil to sense identical flux density regardless of its position. Because of this, dynamics and impulse linearity are preserved to an overwhelming extent. The use of this optimized magnet system allows for the use of a lightweight, non-magnetic armature, which also provides noteworthy benefit to the dynamic capability of the MC Anna. The reason for this is that our high-tech polymer-based armature does not alter the magnetic field during movement. Hence when combined with ultrapure oxygen-free copper coil wire, it delivers perfect reproduction of the cantilever movements without compromise. Because the magnet system delivers a tremendous magnetic flux density, the need for design compromises is effectively eliminated. It is due to this aspect that the amount of coil windings required to achieve significant output voltages is reduced to a minimum, resulting in a further reduction in moving mass. The magnet system has also allowed for more spaciousness within the air gap, allowing for coil windings to be done completely independent of each other, without any overlap or interaction between them. The cumulative result of these improvements simply delivers more lifelike reproduction, with nearly boundless imaging, dimensionality, and dynamics. Finally, the MC Anna also introduces a new degree of control over vibrations by a way of a newly-improved wide-range armature damping system (WRD). By extending the armature beyond the coils, it can interface directly with the rubber dampers, which sandwich a small heavy disc of platinum. This offers more consistent movement, and thereby better stereo perspective and transient delineation. System resonances are also damped by the use of TPE (Thermo Plastic Elastomer) compound which comprises the bottom cover assembly. As in the former MC A90, Windfeld and Xpression cartridges, the MC Anna makes use of Ortofon’s Replicant 100 diamond, known for its thin and light profile and extraordinarily large contact surface. When correctly aligned, the Replicant 100 will track even the most demanding groove modulations and will read musical information from the groove with a level of accuracy that is unparalleled by any other needle in existence. Special polishing of the diamond along with the use of a Boron cantilever offer remarkable transparency, speed and responsiveness beyond that of any other combination. For the exclusive surface treatment the 6000 years old Japanese Urushi lacquer method was chosen in order to achieving a hard, resistant and beautiful multilayer surface in dark maroon colour. 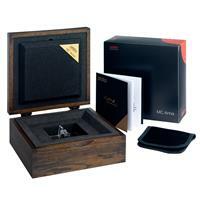 MC Anna User guide and a Maintenance Set are provided in a velour purse included within the package. What is a Moving Coil cartridge? Moving Coil (MC) cartridges generate an electrical signal by moving a tightly wound coil between two magnets. The movement is created by the cantilever, which houses the diamond stylus at its end and rides within the modulations of a record groove. 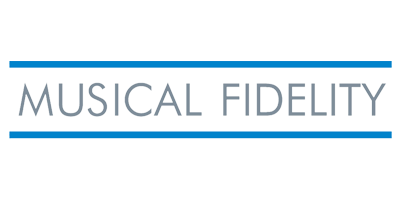 As opposed to Moving Magnet (MM) cartridges, MC designs are more difficult to produce - but often result in a more nuanced sound. For that reason, they are also often more expensive and boast better components than MM designs. 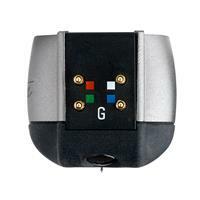 For more on cartridge technology, read our informative article. 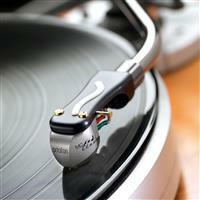 Cartridge installation takes time and requires a level of understanding for the turntable/tonearm you are fiiting to. We've created a comprehensive guide, available here, which will help you through each step of the procedure. However, if at any time you feel uncomfortable with the task at hand, be sure to contact us or your local retailer for assistance. 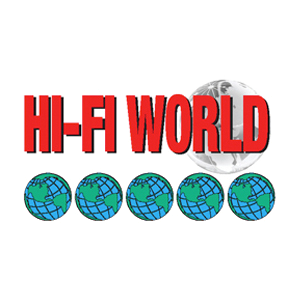 What if I break my Moving Coil cartridge? The Ortofon Moving Coil Cartridge Exchange Scheme is designed to help existing Ortofon customers update or renew their Moving Coil cartridge in a much more cost-effective way. Through the scheme, Ortofon offer a trade-in value for the current range of moving coil cartridges, as well as an extensive list of discontinued models. 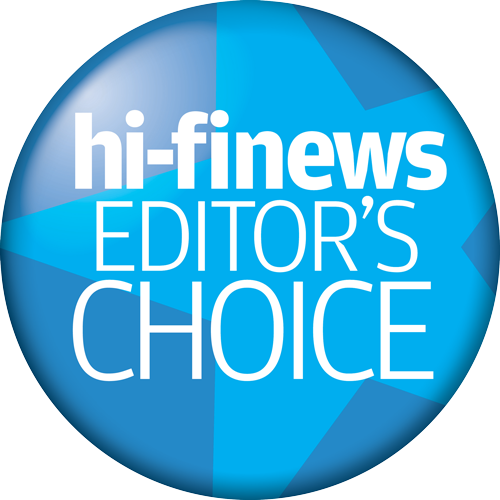 Through this program, we are able to help customers upgrade, replace or slightly downgrade their current phono cartridge in a more economical way than usual. In addition to alignment, consideration must be made to adjust azimuth, anti-skating and VTA in order to maximize the potential performance of any high end cartridge. We recommend antiskating to be set according to recommended tracking force. With a complex stylus shape like the Replicant 100, there must be special attention paid to VTA settings. 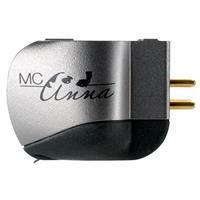 The MC Anna, much like other cartridges in Ortofon’s Exclusive series, has a VTA of 23 degrees. The Stylus Rake Angle (SRA) is very important to the performance of the Replicant 100 stylus, and the long contact surface (the sharp edge) of the diamond should be close to perpendicular to the record surface when viewed from the side. A perfect starting point is always to set the arm to be parallel to the record’s surface during playback with recommended VTF, and then to optimize the SRA by making slight adjustments to tonearm height and VTF, both of which have a measurable impact on SRA. Please correlate the colour code for the terminals on the drawing with the colour coding on the cartridge. The terminals for right and left channel have the same position as normal for Ortofon cartridges. We recommend to mount the enclosed leadwires on cartridge and tonearm before aligning and calibrating the cartridge. Ortofon does not recommend the use of solvents of any kind for cleaning of either the record surface or stylus. If necessary, records may be washed in lukewarm demineralized water with a dash of sulphonic soap. Remove dust carefully from record surfaces by using a fine antistatic brush or cloth before every use. The use of solvents on the stylus and cantilever may damage stylus cement; interior parts of the cartridge can be affected seriously by the intrusion of solvents. The Ortofon warranty will not be valid in cases where such treatment has caused malfunction. For cleaning the stylus, use the enclosed fiber brush a few times along the cantilever in the direction of the stylus, whenever you play a new record or change sides. Record care should also be performed regularly and is of paramount importance to prolong the life and condition of the stylus. Because of this, a record cleaning machine may be considered for ease and quality of record cleaning. With proper care we find that up to 1000 hours is possible without degradation of performance. The stylus does begin to exhibit changes after 1000 hours, but the stylus life as a whole is expected to top 2000 hours. Cleaning of record by means of carbon fibre brush before and after every use. Cleaning of record by using record cleaning machine once in a while. Cleaning of stylus by means of a fine antistatic brush. Please remember to remove dust from the diamond tip before and after playback of each record. The stylus guard provided for MC Anna is designed to be easily replaced and removed without risking contact to the fragile stylus assembly. To avoid accidental damage to the stylus or cantilever please mount the enclosed stylus guard onto the cartridge whenever the cartridge is not in use. The stylus guard should also be attached during mounting or removal of the cartridge. The stylus guard is simply removed by holding the sides between the thumb and forefinger and pulling straight along the orientation of the cartridge. Affixing the stylus guard is of course accomplished by doing the reverse, yet still using a straight movement.